Cranesbill. 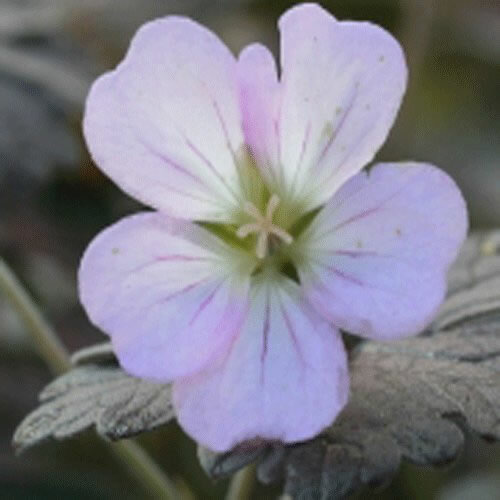 A super hardy geranium, with light baby pink flowers set against matt burgundy foliage. A compact habit and very hardy this is ideal for low ground cover but is also suitable for use in mixed planters, where it contrasts well with many other plants.